It’s the weekend! 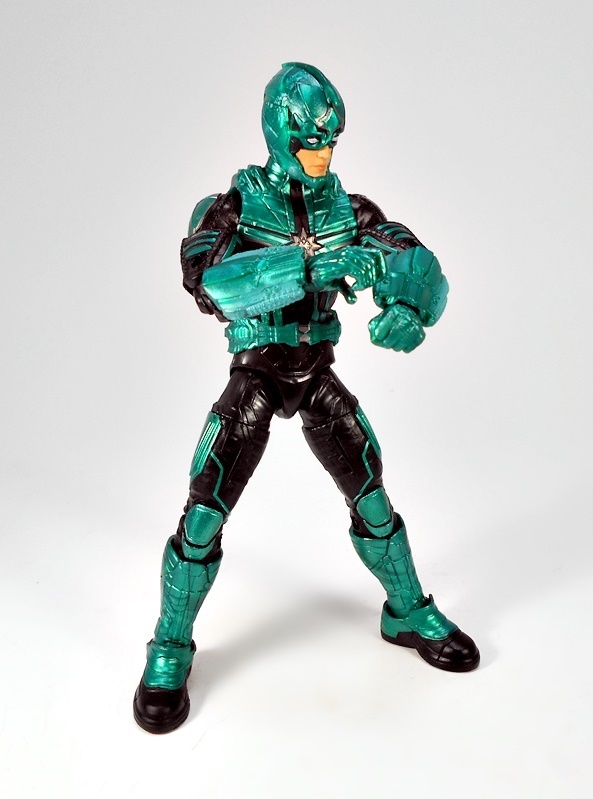 And it’s also nearly the end of this week’s Marvel Legends marathon. 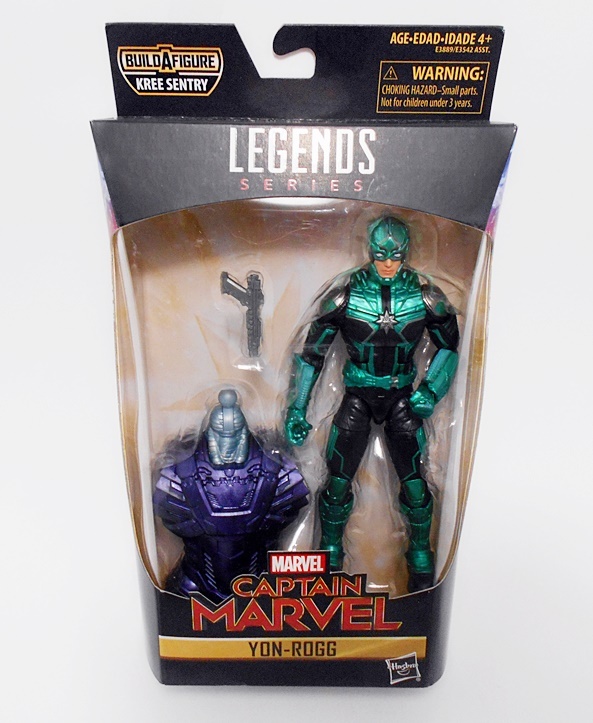 I’ve got two figures left to open and today I’m going with Yon-Rogg. I’m tired… it’s been a long week… let’s just get down to it! 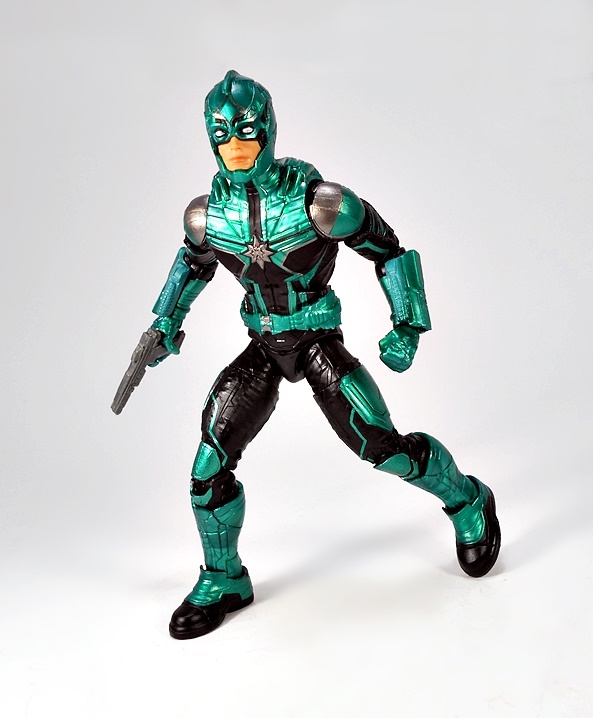 So, obviously this is Yon-Rogg from the upcoming film, played by Jude Law. How much he’ll be based on the comic version remains to be seen. Sure, he’s still a Kree officer, but seeing as how much his character in the comics was defined by his rivalry with Mar-Vell, my guess is this may just be a name-drop for the fans. Of course, this is the MCU we’re talking about, so I’m not prepared to rule anything out. One thing that does get me all giddy is the fact that the copy on the back of the package names The Supreme Intelligence, and oh boy, do I hope we get to see him/her/it in the flick! That might be old news to some, but I’ve been avoiding spoilers like the plague. 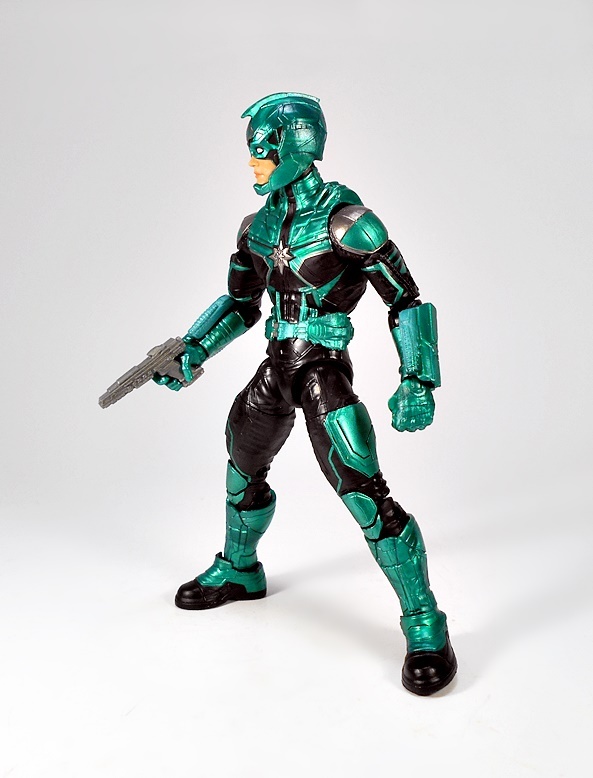 One of the cool things about this figure is seeing the Kree Uniform in all its’ MCU glory, and I do indeed dig it a lot. 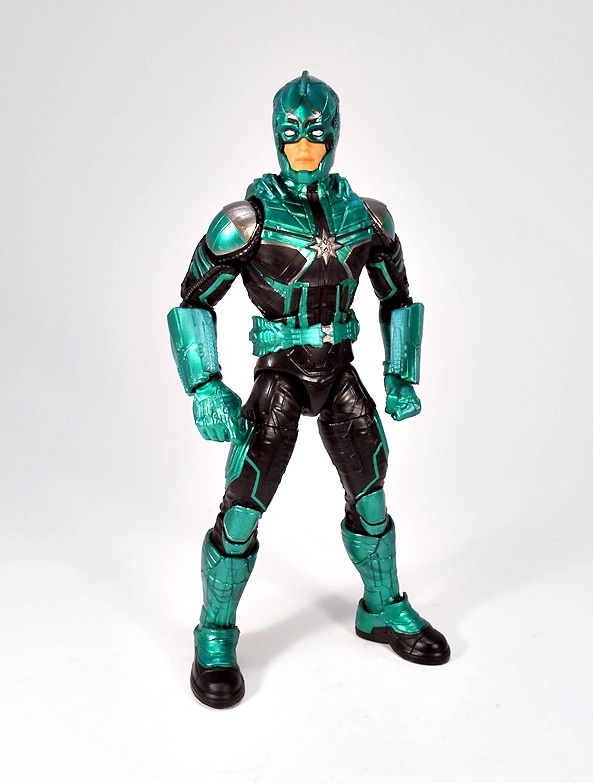 OK, it may actually be specific to Starforce, but either way, there are some nice nods to Genis-Vell’s costume here, particularly in the black and emerald deco, and what a beautiful deco it is! 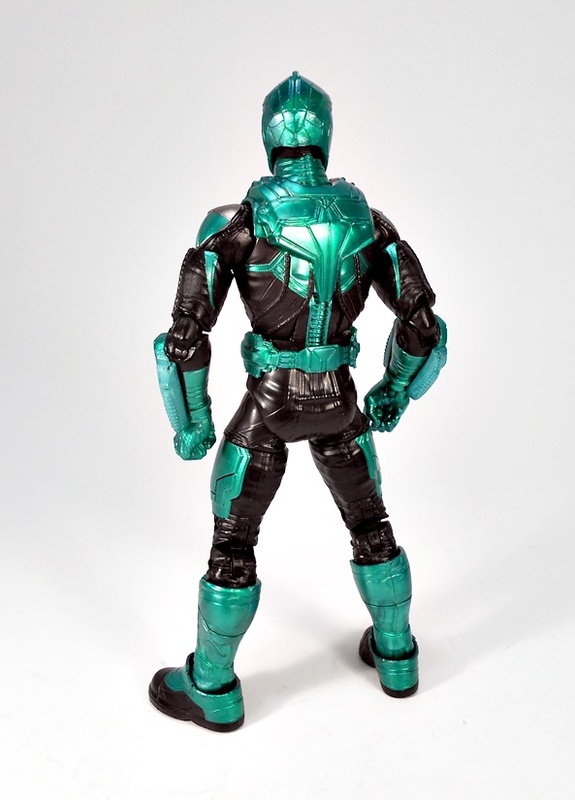 The emerald paint is very striking and when contrasted with the matte black and some dark silver, it makes for a gorgeous action figure. 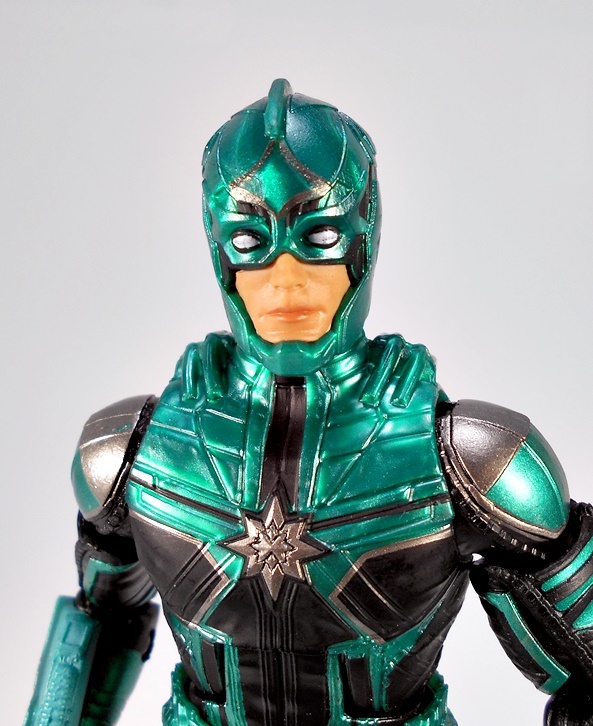 A lot of MCU costumes are all about the hyper-detail, and we certainly get that in this sculpt. 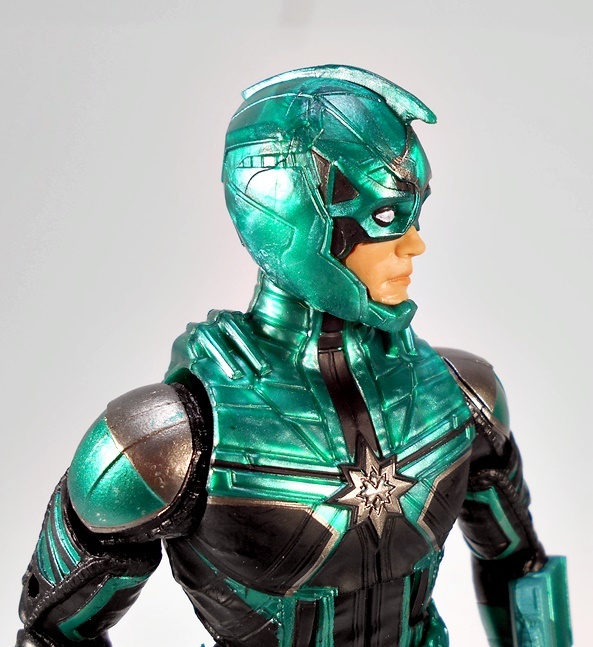 The costume design features tons of these little details like cut lines, pieces of armor plate, and of course the starburst emblem on the chest. If you look really close, there are even subtle etched lines and patterns in the black portions of the costume. 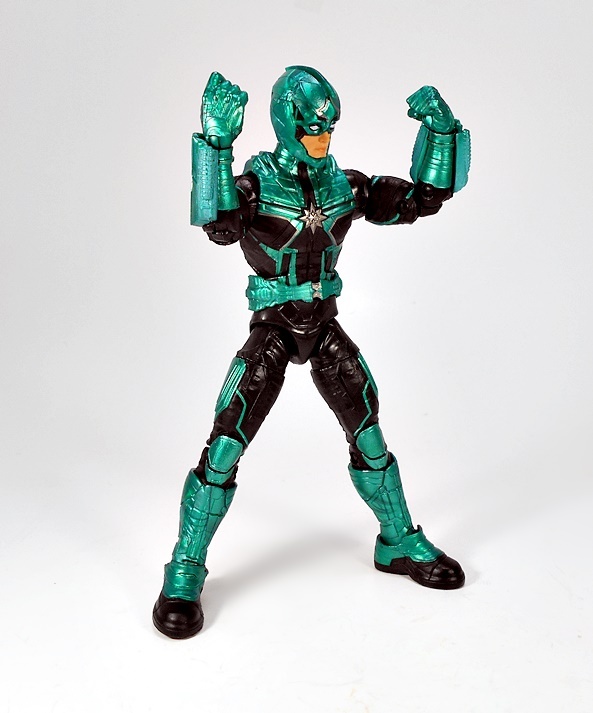 The boots are super chunky, the belt is sculpted separately from the buck, and Yon-Rogg has some nifty gauntlets on his forearms, which look like they may fire energy beams. Or maybe they’re just there to look cool. 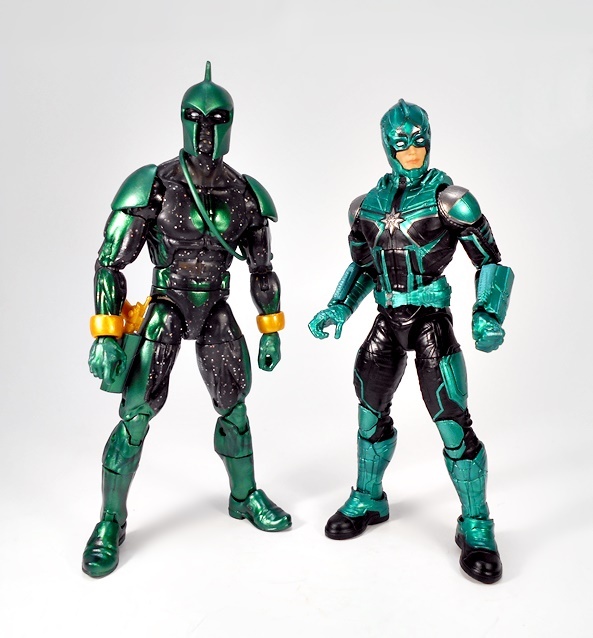 If you were hoping for a Jude Law likeness, you’ll be disappointed to find that the figure only comes with one head and it’s masked. With that being said, the exposed facial features look so good that I wouldn’t be surprised if it was a separate sculpt and glued into place. The rest of the helmet is just damned awesome, and it even retains a vestigial crest as a nod to the style of Kree helmet adopted by Genis in the comics. 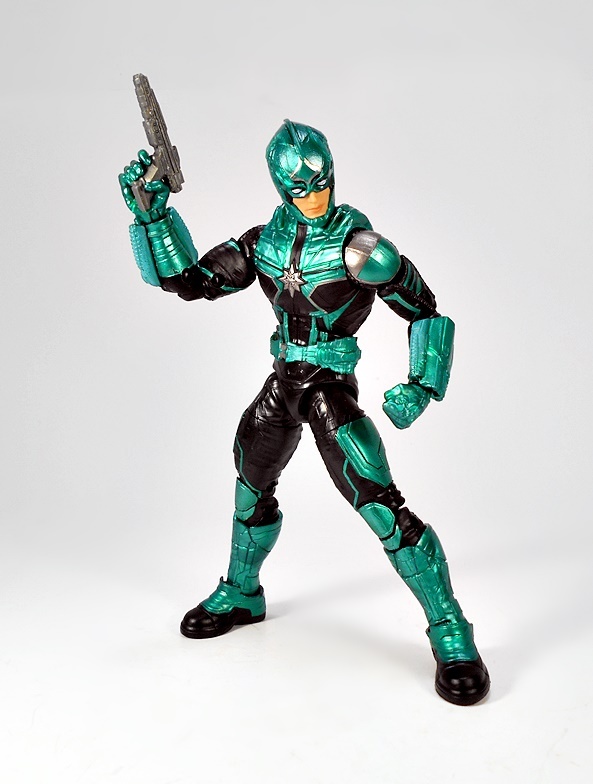 Yon-Rogg comes with one accessory, and that’s his pistol. The sidearm is cast in gray plastic and features a sleek design with some sculpted details. 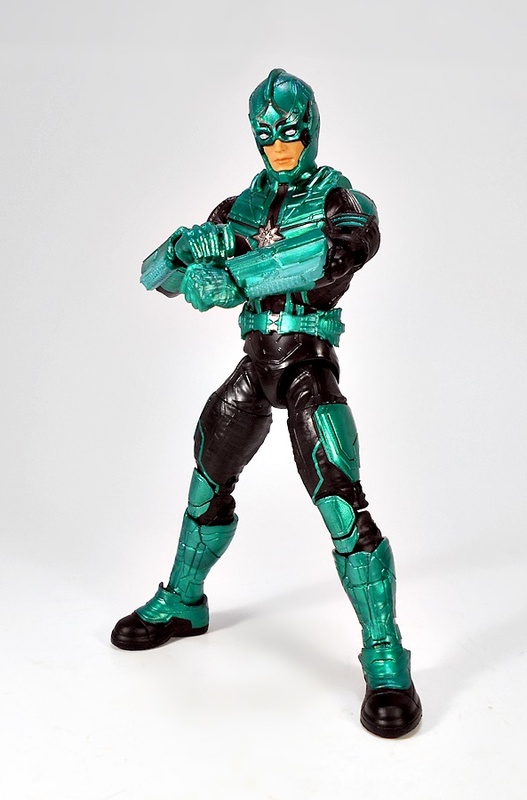 My only complaint here is that he has no holster to carry it in, but that may be screen accurate. The figure features the same articulation we’ve been seeing in most of the dudes this week, but let’s run it down anyway. The legs are ball jointed at the hips, double hinged at the knees, and have swivels in the thighs and the tops of the boots. The ankles are hinged and have lateral rockers for those wide stances. 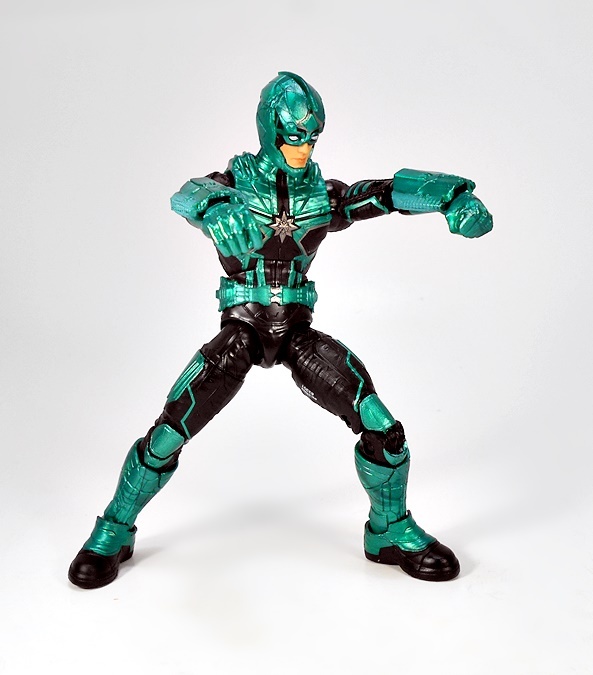 The arms have rotating hinges in the shoulders and wrists, double hinges in the elbows, and swivels in the biceps. There’s a swivel in the waist, an ab-crunch hinge in the torso, and the neck is both hinged and ball jointed. However the character turns out, I absolutely love this figure. The coloring is beautiful and the sculpt sports some amazing attention to detail. 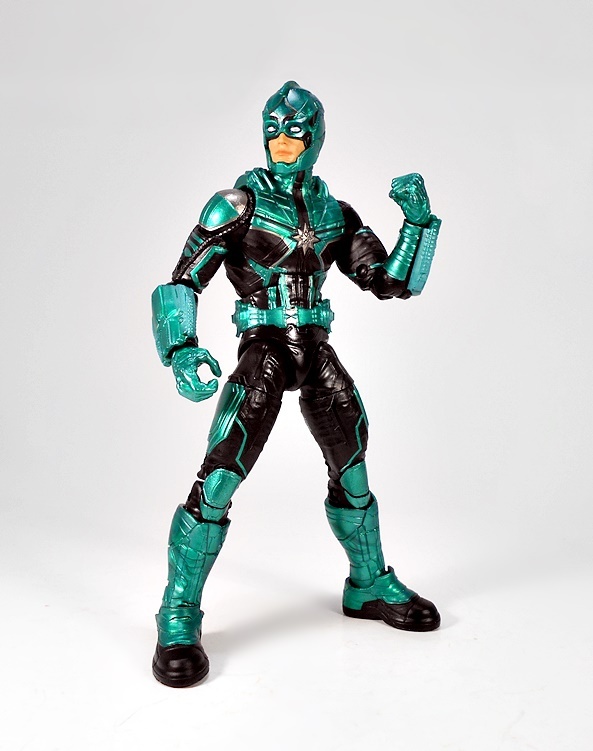 The only downside here is that I now instantly want figures of the entire Starforce Team, so we better be getting a boxed set or another wave from this flick. 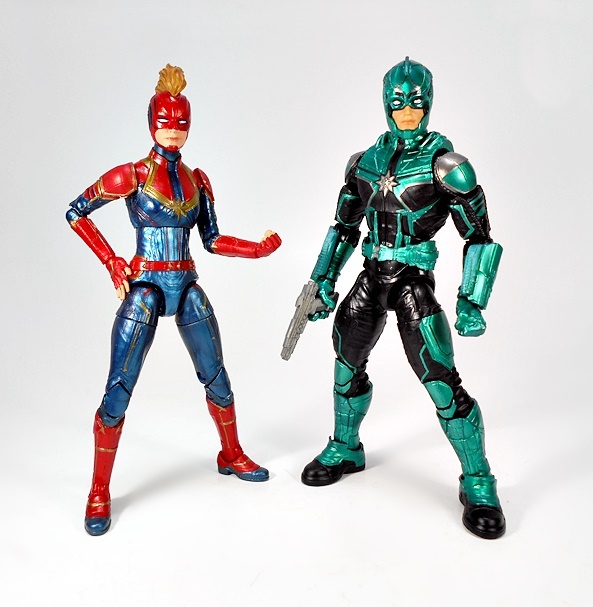 Either way, I just don’t want to have to wait for the inevitable Marvel Studios: The Next Ten Years sub-line to get them, because I don’t know if I have another ten years in me! 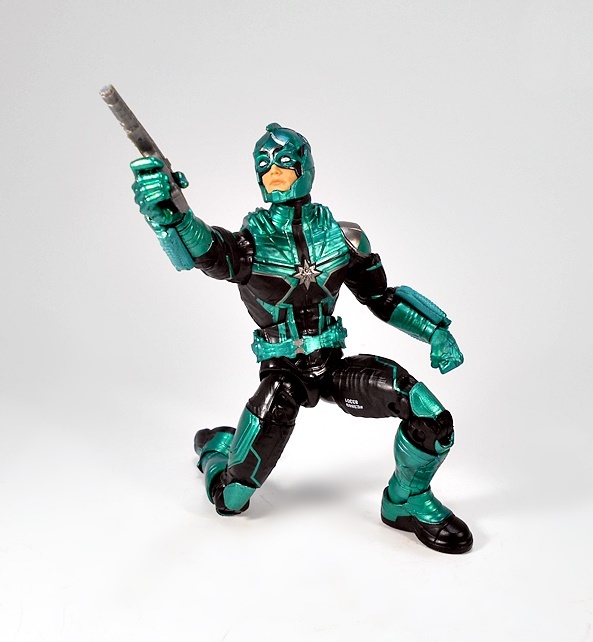 I will probably still be around tomorrow, so come on back for a Double Feature as I open the last figure in the wave and slap together the Build-A-Figure!